The 2016 Stampin Up Retirement List has officially posted. 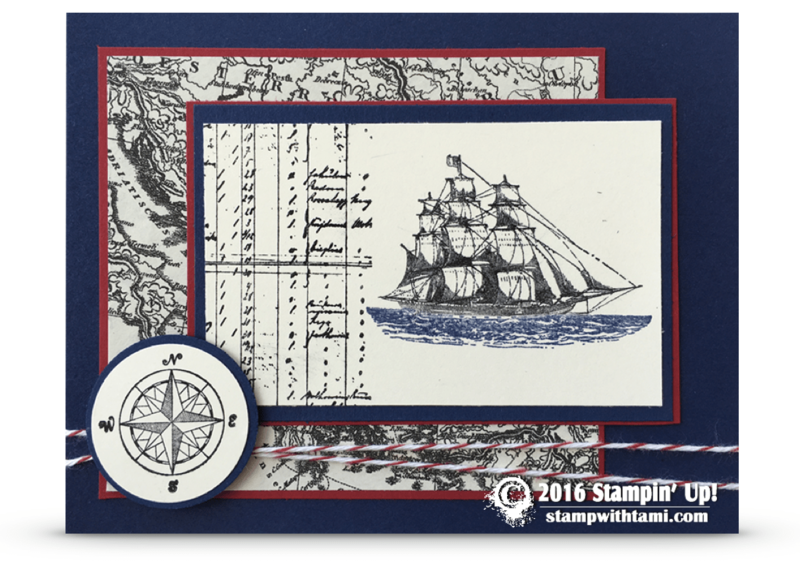 On it, was this “The Open Sea” stamp set. It is one of my favorites. I have lots of projects featuring this stamp set. I’m sure going to miss it. The Typeset background paper is also retiring. This card was designed by Liz Miller. Hi another great card idea, thanks.